Our evidence based CPD courses are aimed at qualified Physiotherapists who wish to improve their manual therapy skills. There is an emphasis on practical content and close supervision by highly experienced and well-informed tutors. On completion of each of our courses, participants are immediately able to apply the knowledge and skills they have learnt in the effective management of patients with musculoskeletal disorders. This two day course gives participants the practical skills needed to safely and effectively examine and treat upper cervical spine (O-C2) dysfunction. The approach integrates concepts developed by Maitland, Edwards, Mulligan, and Jull amongst others. Case studies are used to develop reasoning in clinical diagnosis and treatment planning. 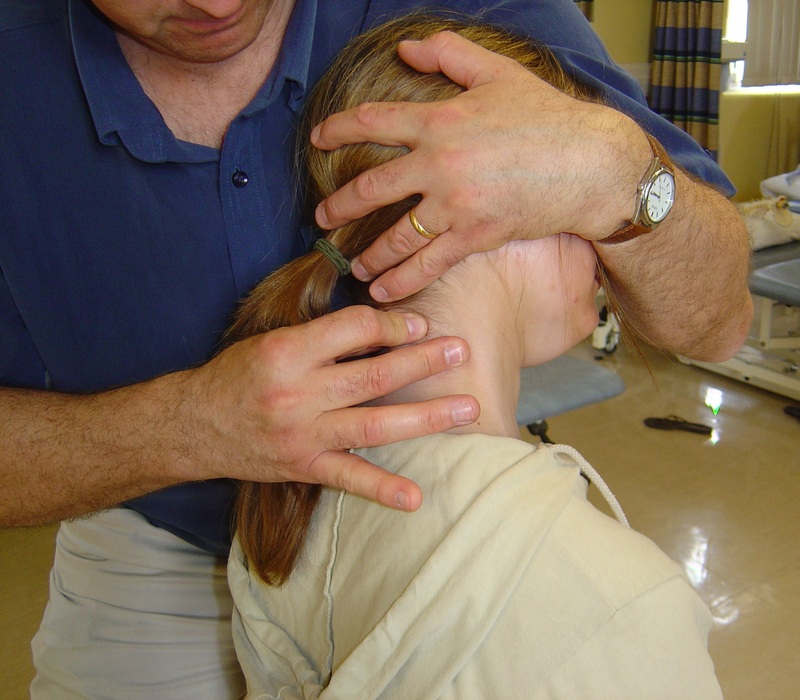 The evidence base supporting manual therapy in the treatment of upper cervical spinal dysfunction is outlined. This one-day course gives participants the practical skills needed to safely and effectively examine and treat articular dysfunction of the thoracic spine and rib cage. Case studies are used to develop reasoning in clinical diagnosis and treatment planning. The evidence base supporting manual therapy in the treatment of upper back pain is outlined. The ratio of participants to tutors is kept low (maximum of 12:1) to ensure a high level of supervision and feedback. This two-day lumbar spine course comprises an integrated manual therapy approach to the treatment of low-back pain. The focus of examination and treatment is on the articular, neural, and motor systems whilst psycho-social issues are also considered. Essential theory is covered, but the emphasis is on practical sessions. The content draws on work by many key manual therapists including Maitland, Edwards, McKenzie, Mulligan, Elvey and O'Sullivan. Case studies are used to develop clinical reasoning and illustrate common clinical conditions. The evidence informing clinical practice is highlighted throughout the course. The essential elements of our lumbar, thoracic, cervical and upper cervical spine courses are brought together in this five-day course. 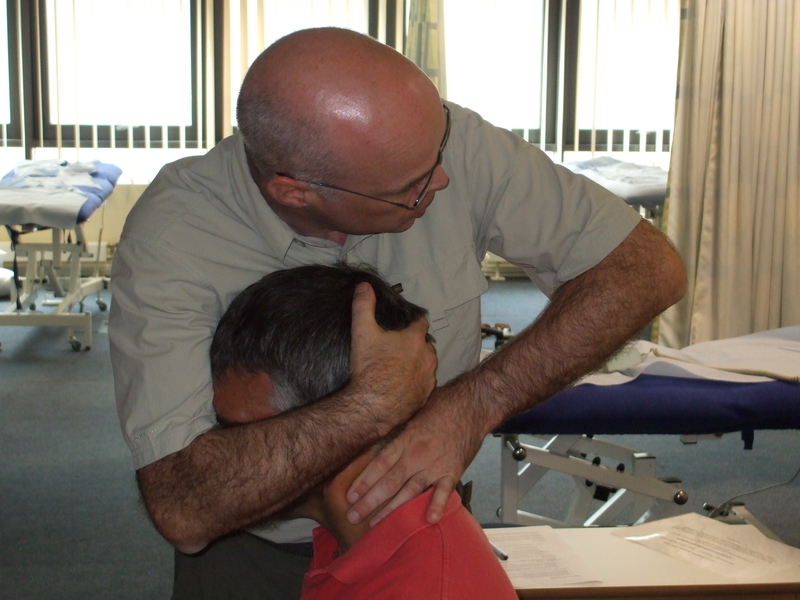 The course comprises an integrated manual therapy approach to the treatment of back and neck related pain. The focus of examination and treatment is on the articular, neural, and motor systems. Relevant background theory is covered, but the emphasis is on practical sessions. The content draws on work by many key manual therapists including Maitland, Mulligan, Elvey, Jull and O'Sullivan. Brian Edwards' concept of combined movement examination and treatment is an important component of this course. The safe and effective application of high velocity thrust techniques is also covered. Case studies are used to develop clinical reasoning and illustrate common clinical conditions. The evidence informing clinical practice is highlighted throughout the course. Measuring effect – is this treatment really working?